While the clean-shaven cut has been the acceptable look for groomed males over many years, men are increasingly opting for hairy faces styled with everything from long beards to the infamous short stubble. However, this business of growing out a beard is not easy at all. 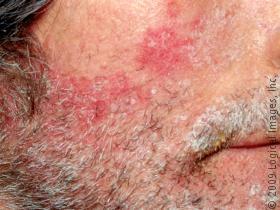 In fact, many men who have tried to grow a beard have given up because of the annoying and common problem of dry skin. If you want to grow your beard, understanding the causes of dry skin can help you avoid it and thus achieve whatever beard length you desire without experiencing much discomfort. What Causes Dry Skin Under a Beard? Cold Weather: During cold weather, there is little or no moisture in the atmosphere. This turns out to be disastrous to the skin because the wind will blow away moisture found on the skin since it has less. When this happens, the skin becomes dry and sometimes flaky leading to a dry skin. Developing a dry skin is very common during winter months because the level of humidity drops making your body lose a lot of water to the atmosphere; your skin then becomes dry, tight and looks flaky. Long hot showers and baths: During the cold season, most people enjoy having long hot showers after a long cold day. Although this may sound great and fun, it is not recommended because it may cause dry skin. Long hot showers and soaking may strip your skin its protective oils making it become dry in the long run. As a preventative measure, you are supposed to use warm and not hot showers. Also, you should limit bathing time to around 10 minutes only and after bathing, you should pat your beards and skin with a soft towel instead of rubbing. Improper Care of Facial Hair: Since beard growing is all about proper maintenance of both the beard and skin underneath it, improper care of facial hair can cause the skin to become dry. With improper grooming of your beard, the skin loses its natural oils and thus becomes dry, flaky, and even itchy. Alcohol-based Or Harsh Beard-Grooming Products: While using beard-grooming products is mandatory in achieving a good-looking beard, you should pay attention to the type of products you’re using. Some products contain alcohol and other harsh chemicals, which instead of moisturizing the skin, strip off its natural oils and clog pores. And the end result? Dry skin. Stress: Another possible cause of dry skin under the beard is stress. When you’re stressed, your body releases an excess amount of the stress hormone cortisol. When released in excess, cortisol breaks down collagen, the hormone that is responsible for keeping the skin smooth and elastic. All these processes take place in the body automatically upon stimulation. The brain is responsible for stimulation and production of these hormones and it’s only the brain which can stop these processes. Therefore, your mind needs to be relaxed and not stressed up if you need to have a balance between the hormones. Lack of sleep: Can also be another cause of dry skin. When you have insufficient sleep for a long period of time, you may become stressed up and then end up having a dry skin. Additionally, your body may produce some chemicals to curb lack of sleep and tiredness which in turn may alter the levels of collagen in the body. When collagen levels are altered, the moisture content on your skin changes because the hormone responsible in regulating the moisture is altered. Regardless of the cause of dry skin in the beard area, the problem must be rectified before it becomes a serious inconvenience in your life. Dry skin not only causes discomfort, but can also become itchy or inflamed. Here are a few useful tips that will help you get rid of dry skin forever. Use Mild Shampoos: Shampoos specially designed for the beard are made to keep the beard looking great and help the skin maintain its moisture. Therefore, shampooing your beard two or three times in a week is an effective way of preventing the skin under your beard from drying. Since the market is filled with a variety of beard shampoo brands, go for mild shampoos that agree with your skin. Additionally, shampoos rich in vitamin B and E are excellent choices as these vitamins are very effective in keeping the skin healthy and moisturized. Make sure you wash your face using a gentle cleanser before using a medicated shampoo to remove excess oils from your skin. Also, you should not apply shampoo and then start washing your beards immediately. That’s wrong. Instead, you should apply shampoo on your beard and leave it there for the time recommended and then rinse it to make sure that no residue remained. It is important to understand that residues which remain may cause dandruff and hence you should make sure that there is none. 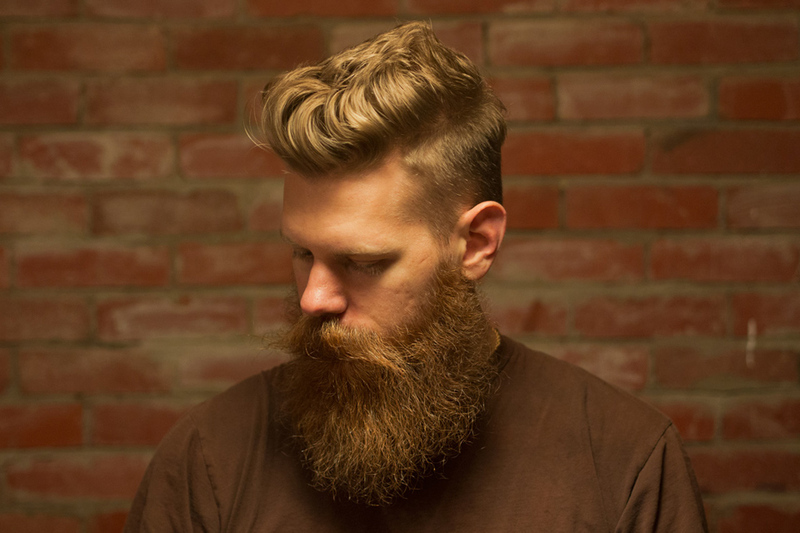 Then immediately after shampooing, massage your beard with a moisturizing conditioner. It has proven beyond doubts that shampooing your beards twice or thrice a week is an effective way of preventing dry skin under your beards. Washing your beard at least once every day is a must as it helps keep your facial hair clean and your skin smooth and healthy. However, you should make it a point to avoid hot water whenever you wash your beard. This is because hot water irritates and dries the skin. Warm or cold water, on the other hand, refreshes the skin and enables it to maintain its natural oils. This is also applicable to washing your body too. You may prefer hot showers but they can make your skin dry because they tend to remove the skin’s natural oils. Moisturize The Beard Area with beard oils: For as long as your beard area is fully moisturized, you’ll never experience dry skin. Beard moisturizers and oils all work well at keeping the beard area well moisturized and prevents flaky, temperamental skin that’s painful to even look at. The use of these oils have been proven to be one of the most effective methods of treating dry skin. There is a variety of beard oils which you can choose from depending with the one which works best for you. You should do a lot of background check-up on the internet and upon deciding, you should try out if the oil is working for you. Getting the best beard oil is very crucial for your facial hair and skin because it makes it look attractive. You can also get suggestions from close friends who are using these oils to determine whether that brand can work for you. Then, after you’ve found your ideal beard oil, you are supposed to use it twice a day i.e. once in the morning and in the evening when going to bed. However, you can apply the oil more than two times a day depending on the severity of your dryness, but definitely use caution with this approach. The basic principle here should be keeping your beard skin moist to avoid drying up. If you are consistent, you will be amazed how this beard care product will help you maintain a smooth beard which is non-itchy. Brush your beard: Brushing your beard regularly has a lot of benefits which can be realized after you’ve done this for a period of time. You should buy a good beard comb or brush and keep brushing your beards in one direction only. This would make your beard grow in the same direction and still avoid entangling of the hair. 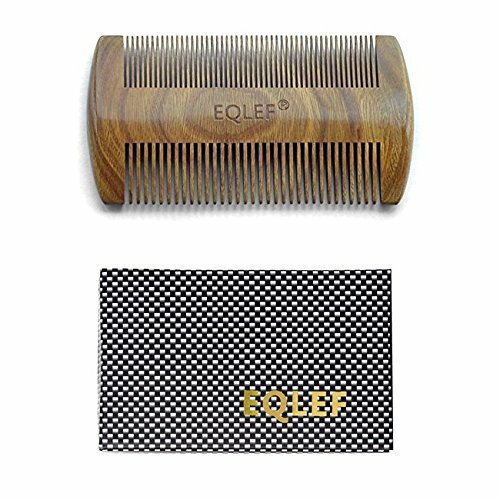 This would improve aeration in your beards as well as ease of getting to the skin beneath your beard too. Also, when your bear grows in similarly, there is less irritation unlike when they entangle and twist among themselves. Another reason to brush your beard is to soften your beard hair. Ideally, when you brush your beard regularly, you spread natural oils produced from your hair and skin to help your beard grow healthy and with a soft texture. In fact, brushed beards are easier to treat and maintain against dry skin. Always brush your beard when wet to avoid getting irritated or have an itchy feeling after or when brushing. Maintain a Healthy Diet: Since the food we eat has a direct effect on our skin, maintaining a healthy diet can help prevent the skin under your beard from drying. First, vitamin A plays a vital role in keeping your skin healthy, because it repairs skin tissues encouraging better hair growth. Therefore, you should have a diet which has vitamin A to make sure your body has a enough the vitamin. Here are foods which are rich in vitamin A; cheese, egg yolks, milk, and butter. Also, pumpkins, carrots, papayas and sweet potatoes are rich in Beta Carotene which the body later converts to vitamin A in the body. To obtain vitamin A, these are the kinds of foods we should eat regularly. Secondly, vitamins C and E also plays a role in maintaining our skins. These vitamins promote the production of sebum from our skins. Sebum is a natural oil which is produced from our skins to both lubricate our hair and make it look thicker and shinier. Deficiency of sebum results to dry skin which looks irritating and has an itchy feeling. Vitamin C is mostly found in fruits e.g. citrus fruits, lemons etc. it is also found in green peppers and broccoli as well. On the other hand, almonds, peanut butter, broccoli, wheat, and spinach have a high amount of vitamin E.
Thirdly, our hair is made up of keratin which is composed of proteins derived from amino acids. Hence, we need to consume proteins for the formation of keratin compound. Fish, milk, poultry, eggs, and rice should be included in our diet to boost hair growth. Also, Omega-3 fatty acids are also important for hair growth. The fatty acids help to protect the cell membranes of cells and prevent your hair from weakening or your skin getting dry. Additionally, you can include walnuts, salmon, and flaxseed oil as they help in hair growth and maintaining a moisturized skin. Even though we are supposed to eat these foods, we are not supposed to overeat them as they have serious side effects. If you don’t know how to go about it, you should get directions from a nutritionist to avoid doing it wrongly. Maintaining a good diet enables your beard to grow better and remove dryness or feeling itchy. The key to maintaining your beard’s health is adhering to a balanced diet, because it has a lot of benefits to both your body and your beard hair, as well. Avoid Stress: Stress plays a major role in a variety of skin problems including dryness and beard dandruff. Therefore, avoiding stress at all costs can help prevent dry skin under your beard. Adopting a healthy lifestyle, getting enough sleep, exercising regularly, reducing caffeine and sugar, and avoiding drugs, alcohol, and cigarettes, are all effective ways preventing your body from working overtime and increasing the amount of stress on your organs. Do repair on your beard: Despite doing the best to keep your skin moist, lack of proper care and repair from time to time may lead to poor conditions of the beards. If you notice ingrown hairs in your beards you should use tweezers to prevent further irritation which can cause itching. Also, if your skin is already inflamed or dry, you should use the right treating products to get the best results. It is not good to neglect simple repairs or maintenance as it could result to bigger problems. Use humidifiers in your home: If your home has a humidifier, depending with the weather you can turn it on from time to time to avoid dry air in your home. Humidifiers are mainly used to moisten dry air in a home and turning them on may help you counteract dry skin problem. During winter seasons, you should avoid overheating your home as it facilitates dry air in your home which could predispose your skin to lose water and hence become dry; therefore, you should maintain a cool temperature in your home rather than heating it up. Dry your beard completely: It is not easy to dry beards especially if they have grown long. Even though this is the case, you should really dig into your beards to dry it completely. This is important if you are using hard water to bathe. Hard water has minerals which can make your skin dry out at times especially if they stay for long. Nevertheless, you should pat the skin gently instead of rubbing it hard to avoid removing natural oils and moisture found on the skin. If need be, you can blow dry your beards with a hairdryer. The only precaution here is to set the dryer to a cool, low setting as war air may irritate your skin. Exercise: Growth of hair, especially beards, is associated with production of testosterone. This is the reason there is an age of developing beards when enough testosterone hormone is produced in the body. Testosterone levels can be increased by exercising or doing work outs in the gym or even jogging. Therefore, you should engage in regular exercises e.g. dead lifts, push-ups, or bench press, because they increase your testosterone levels and consequently impact your facial hair. Regular exercises should be incorporated with a healthy diet for optimal results. Additionally, working out causes a lot of sweating which opens up the skin pores improving hair development. As you can see, achieving an acceptable bearded look requires a lot of determination and effort. By following the above tips, you’ll be able to make your beard growing process easier and the journey more bearable. If you employ the methods discussed above and the skin under your beards is still dry or flaky, you should contact a doctor or a dermatologist.